To protect your long-term health and well-being, we recommend our patients undergo an oral cancer screening biannually. At PQ Family Dental in Rancho Peñasquitos and Ramona, CA, Drs. Tim Belnap and W. Brandon Jergensen perform screenings during every dental exam. After your cleaning, your doctor can examine the soft tissue of your mouth, including your tongue, palate, and cheeks to look for signs of oral cancer in its earliest and most treatable stages. As early detection is key to successful treatment, routine screenings could have life-saving effects. Oral cancer develops when cells grow and divide uncontrollably. As this process continues, growths or lesions can form on or around the mouth. Oral cancer can affect any of the soft tissues, including the tongue, lips, cheeks, hard and soft palate, sinuses, and throat. As early detection is key to successful treatment, routine screenings could have life-saving effects. Although oral cancer can affect anyone, there are several risk factors for this disease. Smoking, advanced age, and exposure to the human papillomavirus (HPV) virus can increase your risk of developing oral cancer. When left undetected, oral cancer can metastasize, affecting the lymph nodes in 40 percent of cases. From there, it can spread throughout the body. 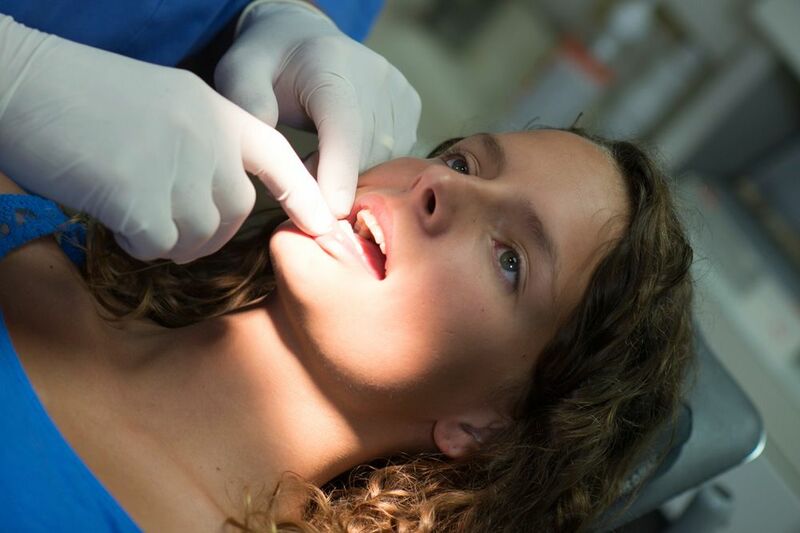 When our doctors are able to identify oral cancer while it is still localized, patients may be able to avoid more invasive or intensive treatment. Regular oral cancer screenings involve a visual and physical exam of your oral tissues. What Does a Screening Entail? Oral cancer screenings are quick and easy and should not produce any discomfort. After your cleaning, your doctor can conduct a visual exam and palpate oral tissues to detect abnormalities. You can also discuss any concerns you may have about your oral health at this time. Our team will pay special attention to any lesions or signs of inflammation. If we notice any growths, we may refer you to a specialist for a biopsy. At PQ Family Dental, your health is our priority. You can feel confident that our team will provide you with the in-depth care you need to effectively treat issues as quickly as possible. We invite you to contact our office online or call our Rancho Peñasquitos office at (858) 484-9222 or our Ramona office at (760) 789-6200 to schedule your oral cancer screening today.